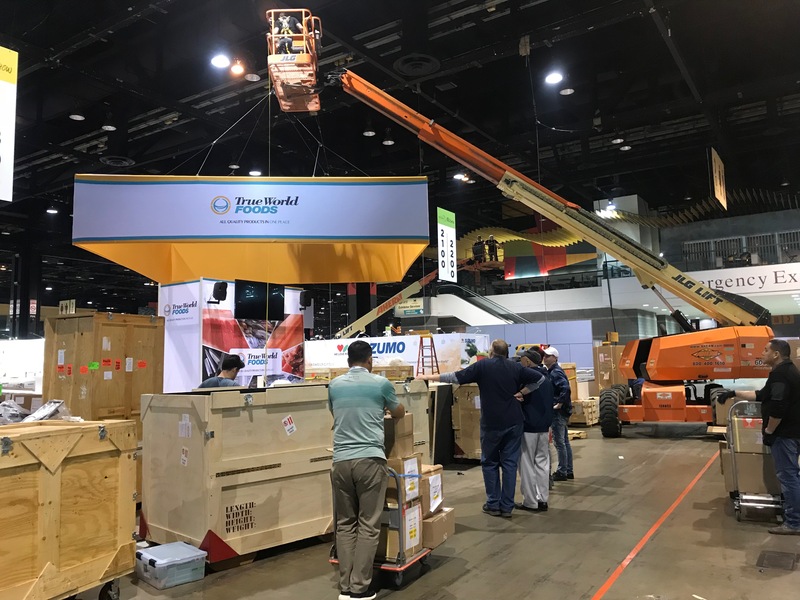 Beaumont & Co. built one of its most innovative modular trade show booths to date for multi-national wholesale seafood distributor True World Foods for the National Restaurant Association Show (NRA Show). The 20×30 custom booth was built with Beaumont & Co.’s Modular Trade Show Display System and was complete with a large tower, storage room, meeting space, display tables, solid maple butcher block counter tops, audiovisual, and a functioning seafood ice display. Beaumont & Co.’s team of experienced designers and project managers designed and produced the True World Foods booth from start to finish at the NRA Show. It was built with utility and accessibility in mind and was a huge success with showgoers who could taste and experience True World Food products firsthand. As an award-winning trade show display and exhibit provider with clients across the globe, Beaumont & Co. strives to create unique projects that are on brand and leave a lasting impression. If you have a project in mind for the NRA Show, we would love to help you bring it to life. For any questions or to learn more about why Beaumont & Co. is a great trade show display company for the National Restaurant Show, please give us a call at 902-410-7446 or chat with us live here.